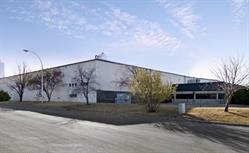 $5.2 million disposition of a non-core asset in St. Albert, Alberta. The Trust announced today that it has completed the previously announced acquisition of 100 Sandalwood Parkway in Brampton, Ontario (the "Brampton Acquisition") a 764,182 square foot distribution centre for a purchase price of $101.0 million, representing a going-in capitalization rate of approximately 5.0%. Premier location within the GTA: The asset is located on Highway 10 in Brampton, one of the Greater Toronto Area's ("GTA") strongest industrial markets, and has excellent access to the major 400-series highways, Pearson International Airport, major rail intermodals and public transit, as well as a large population base within close proximity. Fully leased: The 764,182 square foot asset is 100% leased to Kellogg Canada Inc., a subsidiary of The Kellogg Company ("Kellogg's"), a global food manufacturer, with a 5.3-year remaining lease term. This asset represents their only Canadian distribution centre and serves the entire country. Expansion potential: The asset sits on approximately 50 acres of land and has future expansion capability. Accretive to AFFOPU: Applying proceeds from the bought deal equity financing that closed on August 3rd, 2017, the acquisition will be immediately accretive to the Trust's adjusted funds from operations per unit or "AFFOPU". The Brampton Acquisition was funded with existing cash on hand. The Trust announced today that it has completed the previously announced acquisition of 2777 Langstaff Road in Vaughan, Ontario (the "Vaughan Acquisition") a 471,051 square foot distribution centre for total consideration of $75.8 million. Premier location within the GTA: Centrally located within the Vaughan submarket, one of the GTA's premier industrial submarkets, adjacent to the CN Vaughan terminal and within close proximity to the 400-series highways and the soon-to-be completed TTC Vaughan Metropolitan Subway Station. Long term lease: the 471,051 square foot asset is 100% leased to Toys "R" Us Canada Ltd. under a newly executed long-term sale and leaseback transaction which will generate just over $3.5 million in net operating income per annum. Toys "R" Us is one the world's leading toy and juvenile products retailers. This location serves as their Canadian head office and as the primary distribution centre for their 82 retail stores across Canada. The centre also fulfills their growing e-commerce business. Accretive to AFFOPU: Applying proceeds from the bought deal equity financing that closed on August 3rd, 2017, the acquisition will be immediately accretive to the Trust's AFFOPU. The Vaughan Acquisition was funded with existing cash on hand. The Trust announced today that it has entered into an agreement to purchase a 190,000 square foot, recently built, industrial asset and an adjacent 4.5 acre parcel of land, in Pickering, Ontario (the "GTA East Acquisition") for a combined purchase price of $24.0 million, representing a going-in capitalization rate in respect of the income producing asset of approximately 5.3%. Premier location within the GTA: Situated just south of Highway 401 and the Brock Road junction in the Pickering submarket, the property is strategically located within the GTA East industrial market. The property is within close proximity to public transit via Durham Regional Transit, along with the Pickering GO Station, providing connectivity to the rest of the GTA and beyond. 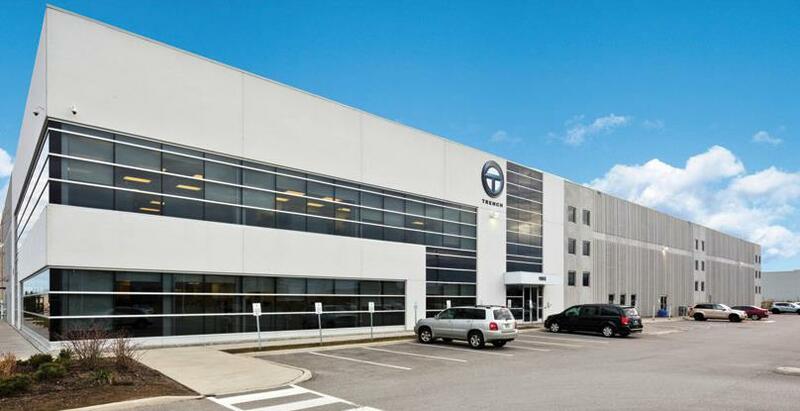 Fully leased: The 190,000 square foot asset is 100% leased with a remaining lease term of 5.3-years to Trench Canada Ltd., a subsidiary of Siemens Canada Ltd., a leading global manufacturer of instrument transformers for the electric utility industry. The tenant has invested significant capital in the space, and this asset serves as their light manufacturing facility and research and development offices, employing over 250 people. Expansion potential: The asset sits on approximately 12.8 acres of land and has future expansion capability of approximately 60,000 square feet. In addition, a further 4.5 acres of excess land adjacent to the property is included in the acquisition, offering further expansion opportunities. The GTA East Acquisition will be funded with existing cash on hand and is expected to close at the end of August 2017. The Trust today announced that it has acquired 84 acres of land in close vicinity to its existing Dalport Trade Center property in Wilmer, Texas, a southern suburb of Dallas (the "Dallas Land Acquisition") for a purchase price of approximately $8.2 million (US$6.5 million), of which approximately $1.4 million (US$1.1 million) be will utilized for municipal infrastructure improvements. The site is located within close proximity to highway 45 and the Union Pacific Dallas Intermodal Terminal. The Trust anticipates being able to develop up to 1.6 million square feet of Class A industrial real estate on the site. The Dallas Land Acquisition was funded with existing cash on hand. The Trust today announced that it has completed the sale of 35 Calder Place, a 61,895 square foot single tenant asset located in St. Albert, a northwest suburb of Edmonton, Alberta. The asset, vacant at the time of sale, was sold for $5.2 million. The property was originally acquired in 2011 for a purchase price of $4.3 million. The asset was unencumbered at time of sale and was not classified as an Asset Held for Sale. "Pre Transactions" figures represent the Trust's portfolio as at Q2 2017 including subsequent events as disclosed in the Trust's 2017 Q2 Financial Statements and Management Discussion and Analysis dated on August 9, 2017, the Richmond Acquisition as outlined in the news release dated June 15, 2017, and excludes assets held for sale. Following these transactions, the Trust will have completed or announced year-to-date acquisitions of approximately $682 million and year-to-date asset dispositions of approximately $156 million. Pro-forma these transactions, the Trust will have estimated liquidity of approximately $270 million comprising of cash and available lines. The Trust is an unincorporated, open-ended investment trust that owns and operates a diversified portfolio of income-producing industrial properties in leading markets across Canada and key distribution and logistics markets in the United States. The Trust is an internally managed REIT and is one of the largest publicly-traded REITs in Canada that offers investors exposure to industrial real estate assets in Canada and the United States. Additional information about the Trust is available at www.piret.ca or www.sedar.com. The Trust prepares and releases unaudited quarterly and audited consolidated annual financial statements prepared in accordance with IFRS (GAAP). The Trust may disclose and discuss certain non-GAAP financial measures, including AFFOPU and capitalization rate. The non-GAAP measures are further defined and discussed in the MD&A dated August 9, 2017, available on SEDAR at www.sedar.com, which should be read in conjunction with this release. Since AFFOPU and capitalization rate are not determined by IFRS, such measures may not be comparable to similar measures reported by other issuers. The Trust has presented such non-GAAP measures as management believes these measures are a relevant measure of the ability of the Trust to earn and distribute cash returns to Unitholders and to evaluate the Trust's performance. These non-GAAP measures should not be construed as alternatives to net income (loss) or cash flow from operating activities determined in accordance with GAAP as an indicator of the Trust's performance. Please refer to "Additional IFRS Measures and Non-IFRS Measures" in the Trust's MD&A. Certain statements contained in this news release may constitute forward-looking statements. Forward-looking statements are often, but not always, identified by the use of words such as "anticipate", "plan", "expect", "may", "will", "intend", "should", and similar expressions. These statements involve known and unknown risks, uncertainties and other factors that may cause actual results or events to differ materially from those anticipated in such forward-looking statements. Forward looking statements in this news release include the following: (i) The GTA East Acquisition will be funded with existing cash on hand and is expected to close at the end of August 2017; ii) pro-forma the announced transactions, the Trust will have estimated liquidity of approximately $270 million comprised of cash and available lines. Although the Trust believes that the expectations and assumptions on which the forward-looking statements are based are reasonable, undue reliance should not be placed on the forward-looking statements because the Trust can give no assurance that they will prove to be correct. Since forward-looking statements address future events and conditions, by their very nature they involve inherent risks and uncertainties. Actual results could differ materially from those currently anticipated due to a number of factors and risks. These include, but are not limited to, competitive factors in the industries in which the Trust operates, prevailing economic conditions, and other factors, many of which are beyond the control of the Trust. The forward-looking statements contained in this news release represent the Trust's expectations as of the date hereof, and are subject to change after such date. The Trust disclaims any intention or obligation to update or revise any forward-looking statements whether as a result of new information, future events or otherwise, except as required under applicable securities regulations.